'Trifle' (Ben Hager, R. 1996). Seedling #AMD5494PlYVFth. MDB, 6" (15 cm). Early to late bloom. 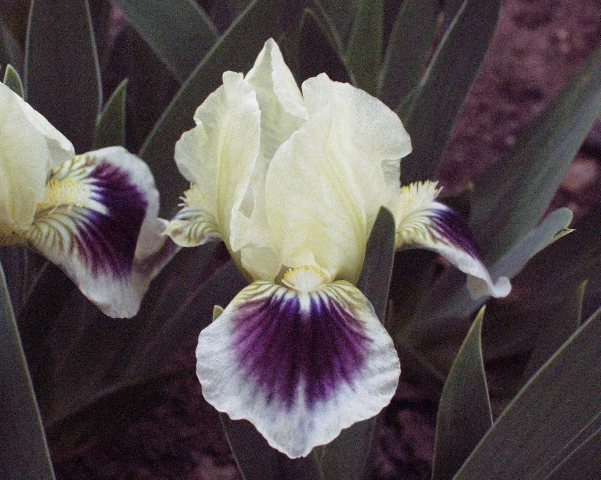 Standards light lemon yellow; style arms white, tipped yellow; falls creamy yellow, purple feather-like spot; beards whitish. Sibling to 'Bugsy'. Adamgrove 1997.